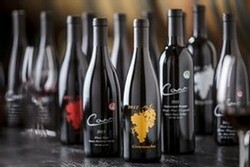 Join a Carr Wine Club! Carr Winery offers four wine clubs to choose from: the Vintage Club, the Luxury Club, the Pinot Club, and the Cluster Club. There is no fee to join and members receive the same benefits for each club. Wine club memberships also make great gifts! 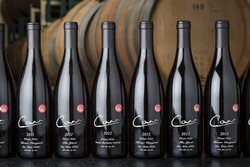 Each shipment will include 12 bottles of new Carr releases chosen by the winery. This club will include wines made exclusively for the Vintage Club, as well as library selections. 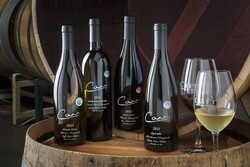 Each shipment will include 6 bottles of new Carr releases chosen by the winery. This club contains red wines only, and will include wine made exclusively for the Luxury Club. 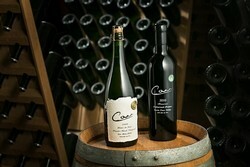 Each shipment will include 2 bottles of Ultra Premium Santa Barbara County wine. Selections will be mainly red with an occasional white or rosé wine. Shipping: The cost to ship is $15.00 per package for the Luxury Club and $1.00 for the Vintage Club. Shipments are sent via Fed Ex ground, UPS, and GSO and must be signed for by a person that is 21 years of age or older. If you choose to pick up your shipment, you will not incur this charge. If a shipment is sent back to us, we will charge $15 to reship. If we ship a club order that is marked for pickup, we will charge $15 for shipping. Billing: There are no membership dues for the wine club. You will only be charged for your club orders. Your credit card on file will be billed 2 weeks prior to each wine club shipment. Cancellation: After being a member for one year, you are free to cancel at anytime. If you choose to cancel prior to receiving your club shipments for one year, you will be charged a $75 cancellation fee. We require all address corrections, credit card changes, and membership cancellations in writing 30 days prior to your next shipment.